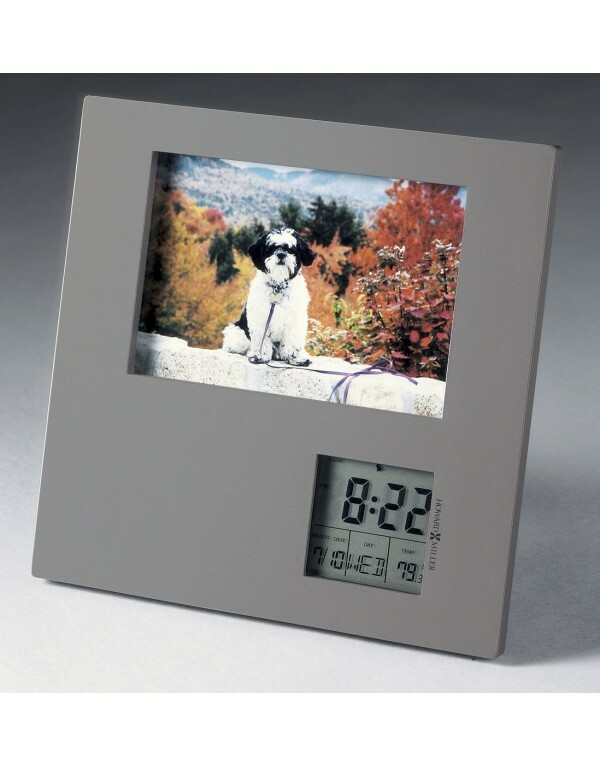 Titanium-finished table clock with folding easel-back stand, holds a standard 3-1/2" x5" photo. Large LCD numbers tell the time. 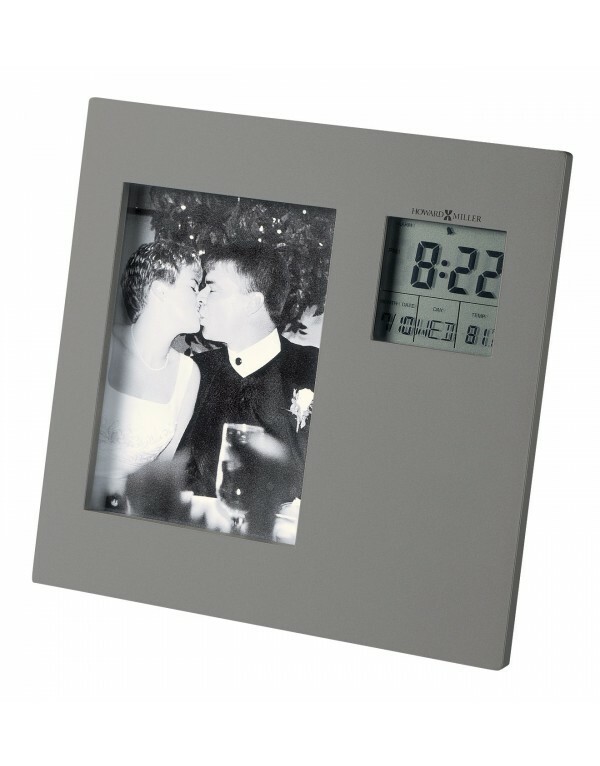 Also displays month, day, and temperature in F or C.
LCD clock displays rotates in the frame for a vertical or horizontal orientation. Quartz, alarm movement includes two AAA sized batteries.